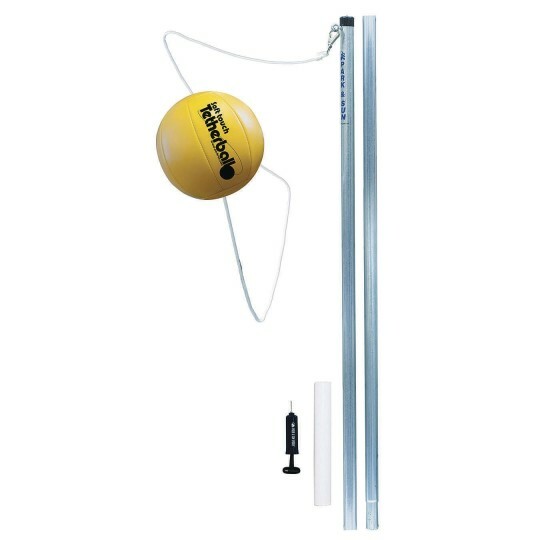 Durable system features a 1-5/8" diameter, galvanized 2-piece steel post that measures 10'3" with a 9'6" play length. Includes nylon wound ball with internal cord connector, 5mm nylon tether with swivel hook attachment, ball pump and ground sleeve (12"). The ground sleeve can be cemented into the ground for optimum play but still allows the system to be removed to prevent damage or vandalism when not in use.